Many years ago, I was discussing past experiences, people, and family events with relatives. As in all families, many of the stories about family have been forgotten. I thought it was a shame to loose part of our heritage and for many years have thought of family trees, etc. Unfortunately, there aren't that many people who remember who was even in our family generations ago! What a loss...... So, I had an idea to create a family recipe book. 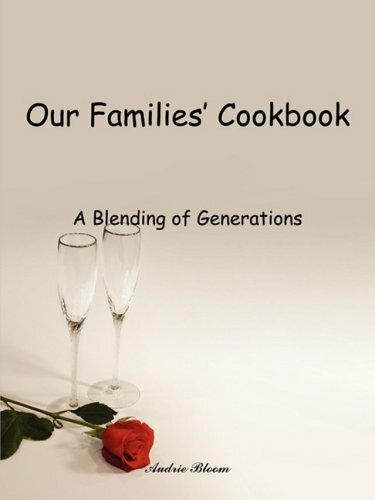 Many of these recipes are very old, past down from generations to generations blending our families together. I compiled them after hounding many of my relatives for recipes (they don't even remember who gave them the recipes). Lots were on old faded index cards and cooking methods have changed with our technologies. So, I've updated them, where needed, to give our children a cooking heritage. I hope you enjoy my compulation and remember fondly eating these recipes with family.